Radio Frequency Identification (RFID) is a data collection technology similar to barcodes, but instead of scanning a barcode it uses radio frequency communication to collect data from RFID tags. It is commonly referred to as automatic identification or auto-id, because it uses radio waves to automatically and uniquely identify objects such as assets, inventory, people or animals. An electronic tag (transponder) is embedded with an integrated circuit (IC) that can store unique data about the object being tagged. A reader (interrogator) transmits radio waves at a specific radio frequency to communicate with and retrieve data from tags within its proximity. RFID and barcodes are similar in that they are both data collection technologies, meaning they automate the process of collecting data. However, they also differ significantly in many areas. Although this comparison primarily focuses on the advantages of RFID over barcodes, RFID will not completely replace barcode technology. Barcodes offer some advantages over RFID, most notably their low cost. Performing a manual inventory process requires personnel to individually match tag ID's or serial numbers. This can be very time consuming and prone to inaccuracies. 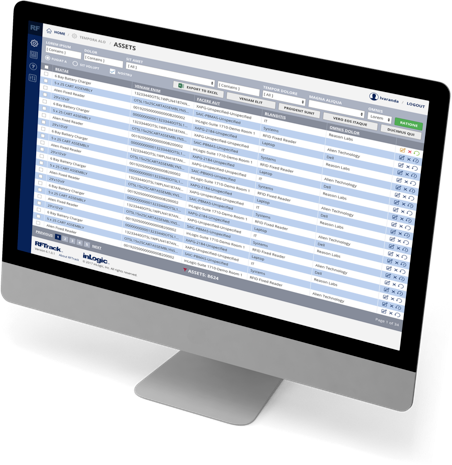 Using barcodes speeds up the inventory process and makes it more accurate, but still requires each asset to be scanned individually. Many handheld RFID readers for can read up to 20 tags or more simultaneously. Physically inventorying and auditing assets can be a time consuming process that can pull valuable employees from their normal job responsibilities to participate in an inventory. In many cases these employees are over-qualified and over-paid for the task. At a minimum, pulling these personnel away from their responsibilities can affect the bottom line. 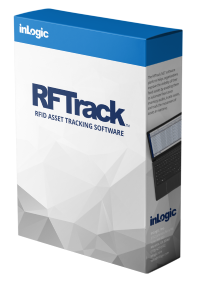 Implementing an RFID solution can dramatically reduce the man-power required to keep track of your assets and provide better visibility. © 2019 inLogic, Inc., Learn about RFID.